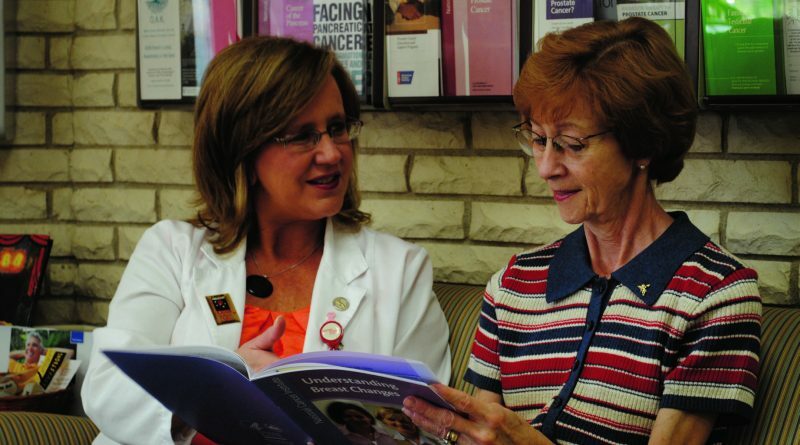 Nurse navigators help guide breast cancer patients through a maze of options. LOUISVILLE To be understood and to understand – that’s a basic need for breast cancer patients. They want to understand their choices – and select the options which are best for them – and to have someone understand their fear and emotional pain. At Baptist Hospital East – and other hospitals across the nation – nurse navigators serve as the bridge between the physician and the patient. Many times patients do not want to “bother” their doctor with their questions or concerns, but they feel free to talk to a nurse. And there’s a lot to talk about. Medical advances have resulted in a variety of treatment choices for breast cancer patients in terms of surgery, chemotherapy, radiation, and hormone therapy. Not to mention breast reconstruction and help after treatment – from support groups to exercise rehabilitation. For the newly diagnosed, this range of choices can be overwhelming at a time when they are under a great deal of stress. Ideally, the nurse navigator sits in with the patient and physician as treatment is discussed. This way the navigator can hear what’s said, and help the patient understand what to expect from the upcoming treatment. 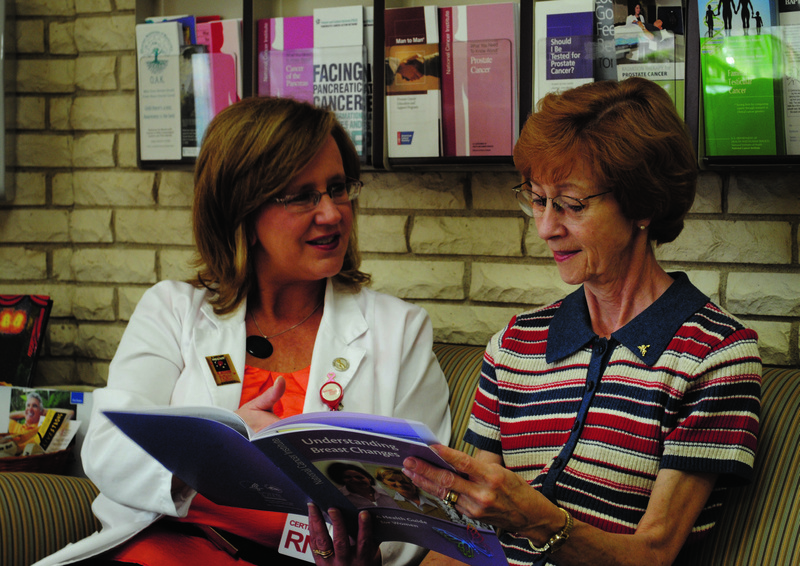 At Baptist Hospital East, a nurse navigator is available for every patient who has a diagnosis of breast cancer. Patients may be referred from their physician, or the patient may call the navigator themselves to get connected to this free service. Providing patients with accurate and understandable information is a key element. Patients are offered a one-on-one educational visit with the nurse navigator prior to surgery so that they may have a better understanding of what to expect in the postoperative period. All along the way, the navigator plants seeds about what’s coming next, or resources that may be valuable, such as support groups. Patients may not be ready for this step yet, but can start processing the thought of sharing their cancer journey with others. Additional referrals may be needed –to help with financial or transportation concerns, dietary issues, or other matters. The nurse navigator is a conduit to those resources, whether they are based at the hospital or in the community. The nurse navigator stays in contact with the patient before, during, and after treatment. When the patient doesn’t know whom to call, the nurse navigator is a safe sounding board. The primary role of the nurse navigator is to be a patient advocate. As an advocate, the navigator guides the patient past barriers to prompt diagnosis and treatment. The concept of patient navigation was founded and pioneered in 1990 through the groundbreaking work of Dr. Harold Freeman of New York. Freeman studied low-income breast cancer patients in Harlem, discovering that women who received guidance had better results. Today, it is quickly becoming standard practice in hospitals across the nation. Putting out this helping hand to breast cancer patients has quickly become the most enjoyable part of my job. It is a pleasure to be a connection point for these patients, to calm their fears, dispel myths, impart strength, and show them that we care. With a nurse navigator showing the way, the journey through cancer is paved with hope. Tina Toole-Harper, RN, CBCN, is a nurse navigator and cancer resource nurse specialist with Baptist Hospital East.